Yes, the legendary writer and artist has made many important contributions to the world of comic books throughout his career, but it’s his work on the seminal “Death of Superman” storyline that has proven to be the most influential and widely read. As one of the writers and artists behind that legacy-defining storyline and the author and penciller of its final issue, Jurgens’ work on the character can be felt in nearly every Superman story we’ve seen since. Well, it seems that was just a warm-up. This June as a part of the eagerly anticipated Rebirth, Jurgens is returning to the world of Superman as the writer of the bimonthly Action Comics. We recently spoke to Jurgens about this rebirth of DC’s longest running ongoing comic and learned that it will not only fully reunite the current SUPERMAN: LOIS AND CLARK writer with the Man of Steel, but also with the monstrous villain that once nearly defeated him. We’re restoring the original numbering for Action Comics in June. What issue will your story be starting at? If you’ve been reading Superman: Lois and Clark, then you’ve seen that we brought back the pre-Flashpoint Superman. He’s married to Lois Lane, they have a young son named Jon, and we find out they’ve been here for years living in secrecy. 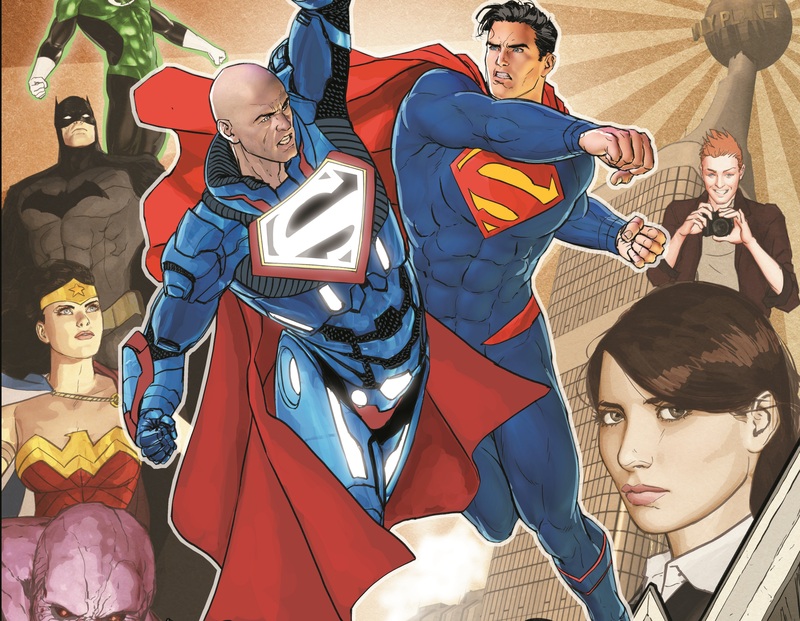 This new Action Comics is us fully integrating them into the world of Metropolis and the world of Superman in general. When the book starts off, Lex Luthor has pretty much proclaimed himself the Superman of Metropolis. Well, our Superman knows Luthor’s history on his own world and will never trust him or buy into the idea of him as a hero. Meanwhile, someone has found and released Doomsday on the city, and it’s all complicated by the fact that Clark Kent is very obviously running around in Metropolis. The whole world has learned that Clark and Superman are one and the same, but suddenly they seem to be two separate people, so that can no longer be the case. We start to really build this entire mystery of “Who is Clark Kent?” while at the same time bringing plenty of the “action” the title promises as you only can with Doomsday. How closely will your book be tied with the bimonthly Superman title? Superman is being written by Pete Tomasi and Pat Gleason, and we’re going to be making sure that our characterization is consistent with theirs and that as events move along, they reflect one another. It’s not going to be like what we did in the old days, so to speak, but they’re going to be running parallel with each other and featuring the same characters. Will new readers who haven’t been reading Superman: Lois and Clark (even though they should be!) be able to pick up the first issue after Rebirth and understand it? Absolutely! Even though it’s ACTION COMICS #957, we’re really writing it like it’s an issue #1. That’s what you have to do on something like this to be fair to everybody. Longtime readers who have been enjoying Superman: Lois and Clark will want to see this next chapter, and at the same time, we’ll fill new readers in on what’s been happening. ACTION COMICS, written by Dan Jurgens and featuring the art team of Patrick Zircher, Tyler Kirkham and Stephen Segovia, will debut with issue #957 on June 8, 2016. Preview Monday: The Sheriff of Babylon #5!